You have an offline reputation among your friends and family -- which is most likely a positive one. You also have an online reputation that can be totally different and also determined by what others write about you for the world to see. No matter what people say online of offline... it still plays an impactful role in what people might think about when they hear your personal name or business brand. Obviously it's easy to say "I don't care what people think" in the offline world and go about your day. However, in the online world, what people say, share, post and review about you and your brand can play a huge part in whether they end up with a positive or negative first impression. No matter if you are an individual who is just trying to look better in the search results, or a multi-million dollar business that's looking to clean up their act and try to repair any damage that's already been done, this 7-step ORM management plan is exactly what you need. Each of the steps below are easy enough for anyone to accomplish, without the need to hire outside consulting or management services. At the same time it's also important to note that your results will vary depending on your level of competition and based on what's currently out there. The first thing you will need to do is start searching through the internet as if you were an average user. Look up search terms and phrases that people might type in as if they were looking for more information on an individual or brand. Once you do start finding any information, remain calm... as you might not like what you find. There are certain ways to address each situation, and going on a rant and attacking someone online publicly will only make it worse. After doing some initial research, you will likely find some content that you would like to be removed. This type of content is usually found on social media or through review sites. One of the first and best ways to approach the issue is to try and contact the owner or support team for the site that is hosting the information. Approach in a neutral matter, as they probably get a lot of emails like this and being nice can go a long way. Now that you know what is out there, it's time for you to put something out there of your own... such as a web site or blog. If you already have a presence online, it's time for you to make it even better. Social media is a haven for negative press, exposure and reviews. 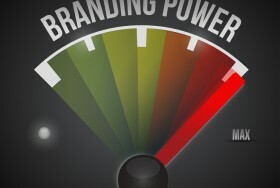 However, it can also be a huge asset to your personal brand and business as well. The first way to use social media is to make sure you have an existing account for both your personal name and business. This way you can grow a following over time, respond to mentions and also add an additional ranking to the search results. While on social media you should also engage with your followers, search for questions, reviews and complaints that might have been posted and also try to satisfy these customers as well. Social media is also a great way for you to monitor your competition and see what they are doing wrong/right and implementing these practices into your business as well. More often then not, reputations and first impressions start at Google. When someone searches for your name, what do they see? They should see your main web site, a blog and your social profile pages. If they don't, then you are already behind on securing your reputation online. Through the use of a web site and blog you should be able to secure the number one spot in the search results for your personal name and brand. The remaining spots behind it can be filled with your social profiles from sites like Twitter, LinkedIn, Facebook and Instagram. Be sure to connect your web sites, blogs and social media accounts together so you can continually improve your search rankings in the process. 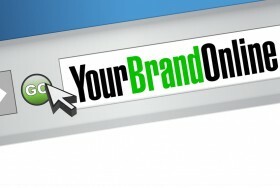 One of the most influential ways to improve your online reputation and brand reach is by actually being an expert in your space. This is easier for online marketers and anyone who might be well known for something, however it can still be applied to anyone that wants to put in the effort and build a following and awareness around their name. In reference to establishing yourself as an expert in any industry, it's actually a matter of just putting yourself out there. Web sites, blogs and media outlets are always looking for references and quotes from industry experts and to help those who are searching on any topic for the first time. In addition to your own web site, blog and social media following, you should be reaching out to these sites to provide them with your own expertise. This could be through interviews, guest blogging, contributing content to other sites and seeking out editors to the top online magazines and seeing if there is any way you can help them with a future article. 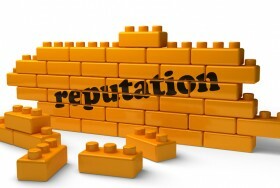 The last part of the process is to monitor your personal name and any brand mentions that might appear on any given day. Once you've put in all the hard work and effort of building out your own sites and gaining a trusted following online, it's simply a matter of monitoring what's out there and measuring your results. 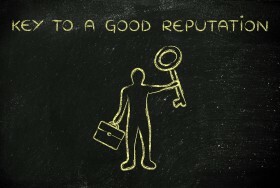 No matter what industry you are in or how bad your existing online reputation might be, each of the steps covered in this guide play a huge impact on your overall presence online. Don't wait until tomorrow... take action today!